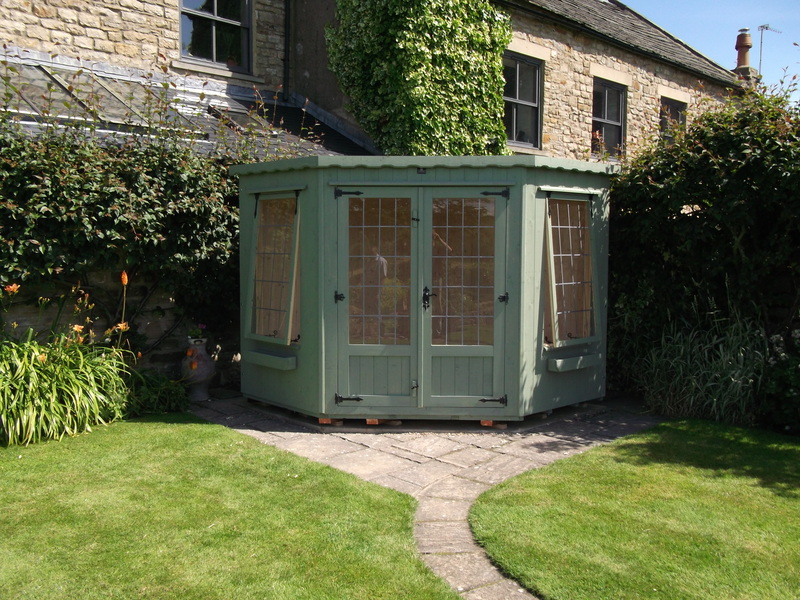 The Orchid Summerhouse is an attractive corner style summerhouse with hinged double doors and antique furnishings. Manufactured from top quality tongue and groove boarding on sturdy framework. The roof is fitted with Hyparoof Polyester green felt, with a life expectancy of at least 15 years. 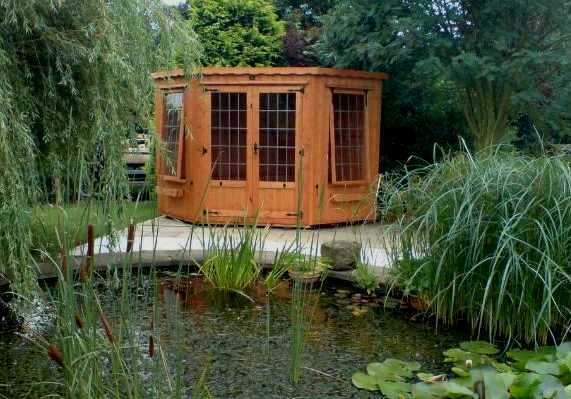 This summerhouse comes with an immersion base coat and is glazed with 4mm toughened glass. Complete with window boxes under each opening window, the Orchid Summerhouse is the perfect hideaway designed especially for the corner of your garden.